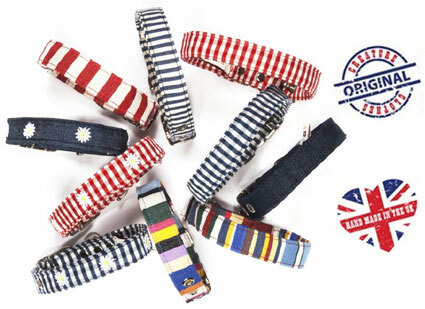 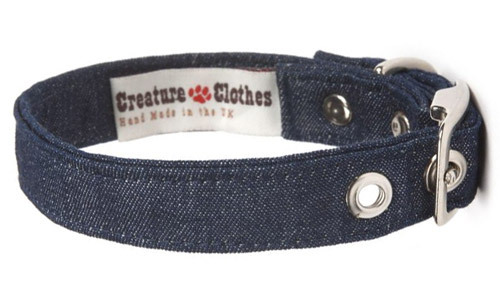 Denim style fabric dog collar and optional matching lead, designed and completely handmade at a workshop in Suffolk, UK. 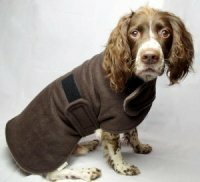 Funky and stylish designer and colourful fabrics, as seen on many a celebrity dog. Good service from D for Dog and the collar looks and feels good although the colour comes out when damp . 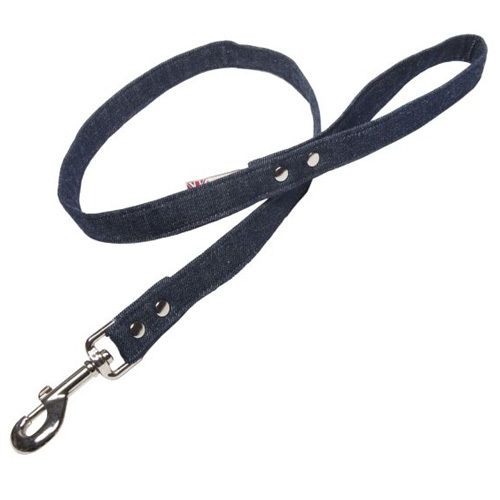 We now have a white EBT with a blue rinse.